I've been fascinated with tortoise shell sunglasses for as long as I can remember. The name is part of it, but my fascination became even greater when I started to see them styled by pin-up girls. Those famous "kissing the tortoise shell" lyrics from Echo and the Bunnymen come to mind as well, even though they were not talking about glasses at all. There's something so chic and timeless about them, and I am so glad I finally found a pair that looks good on me. 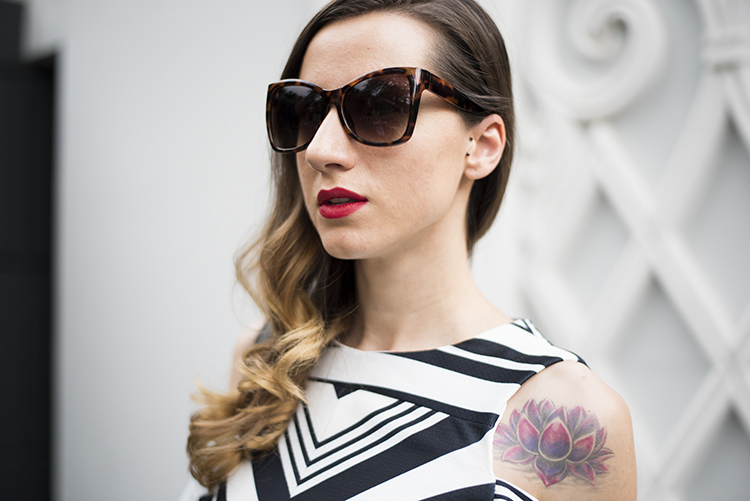 I don't normally go for black and brown combos, but this time the sunglasses seemed the perfect addition to this gorgeous black and white striped dress. I especially love the classic front slit mixed with the cut off shoulders, which give it a modern vibe. 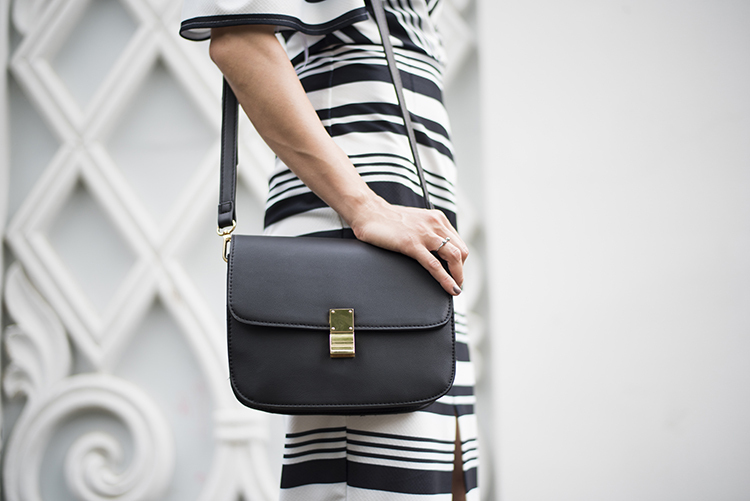 I am obsessed with stripes, as you might have already noticed, but I am always looking for new prints with a twist. This is the third post in a row featuring striped outfits, and I hate to disappoint you but another one is coming up pretty soon. What can I say, the heart wants what it wants. Love black and white combination and this dress is so cool!